Kudos to her, because somehow she makes this look great. 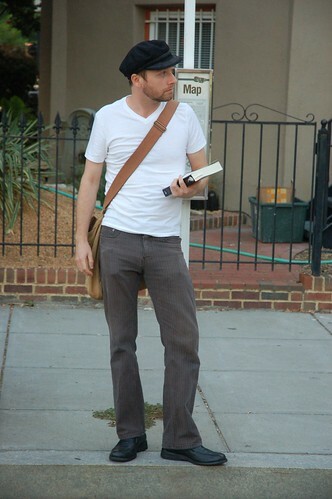 This is Van….he was was wearing a shirt and bag from Club Monaco and pants from the sale rack at Urban Outfitters & was on his way to Cafe Mozart. I was recently interviewed by The Hill’s Betsy Rothstein for an article published yesterday on women’s footwear options. The question: heels or flats? As I said in the article, I love and hate heels all at once. 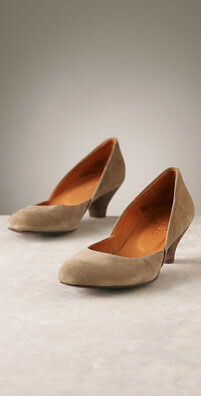 I’ve found a happy medium to be a wedge shoe, which provides height without sacrificing comfort. I find curvy, more feminine styles as opposed to chunky ones most flattering—there’s already a lot of shoe going on. You wouldn’t want to look like you have a brick attached to your foot. For a while there, I swore off heels completely. However, once I realized that height wasn’t really the problem but rather the construction of the heel, I was a believer once again. 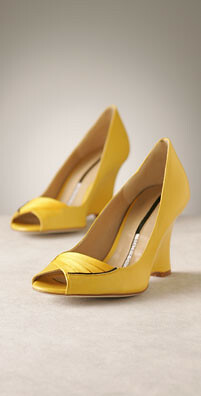 Well-made shoes can really be an epiphany for heels, and well-made does not necessarily have to mean expensive. I love stacked heels and conical shapes have a retro vibe. They’re all over the retail stores, but you could easily look in vintage and consignment shops. Skinny heels often look too dainty for everyday outfits, and if you’re like me, you wear out the heel tips in less than five wearings and sound like a tap-dancer until you can get them replaced….only to start the process all over again. The first 15 “Savvy Shoppers” to arrive will receive a free compilation CD of legendary jazz standards, featuring Nina Simone, Amy Winehouse, Etta James, Betty Carter & Alice Coltrane. Enjoy food, cocktails & heavy discounts at both shops. To top it all off, one lucky lady will win a treasure chest filled with accessories and clothing from both stores. What’s another name for pirate treasure?…..booty yall! 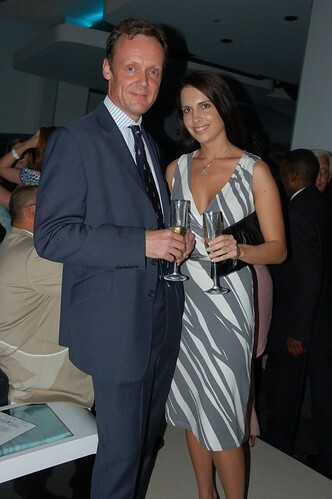 The Hill Editor-in-Chief Hugo Gurdon and Jessica Andrews from The Hill’s recently released 50 Most Beautiful List. Her dress was H&M. The Hill’s Sam Youngman working the K Street red carpet, which had just booted a guy for wearing sneakers. The horror!